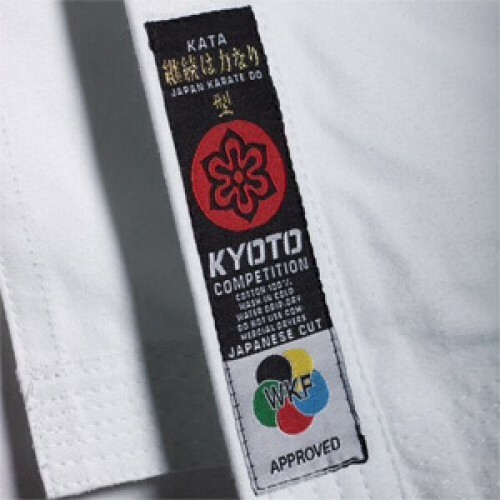 Worn by the England Karate Kata Team, the Kyoto Kata suit has a Japanese cut jacket and trousers that adhere and are approved by the W.K.F. Suitable for international and national competition and club use. 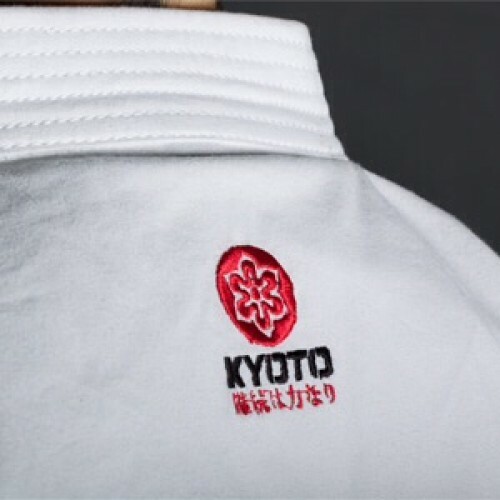 Due to the manufacturing process and the tight twill of the cotton used, techniques when performed will crack louder and sharper. The longer length in jacket keeps the jacket straight without riding above the belt. 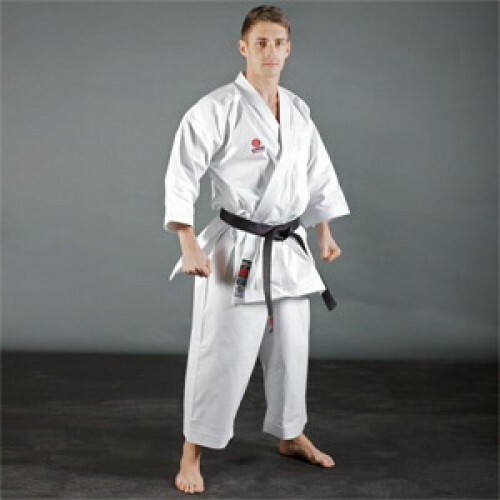 The extra gusset that runs from ankle to ankle ensures maximum movement is given to all leg techniques, without restriction. The trousers include a traditional tie waist which doesn't 'dig in' when tied. 12oz.